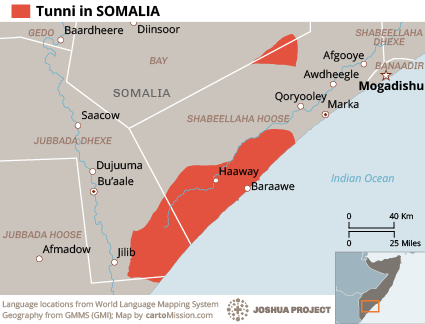 Somalia is located on the Horn of Africa on the continent's easternmost coast. The Somali are the largest ethnic group in the country and form one of the most uniform populations of the continent. Some Somali also live in neighboring countries, such as Ethiopia and Kenya. They speak a common language, follow a common religion, and share a cultural heritage. 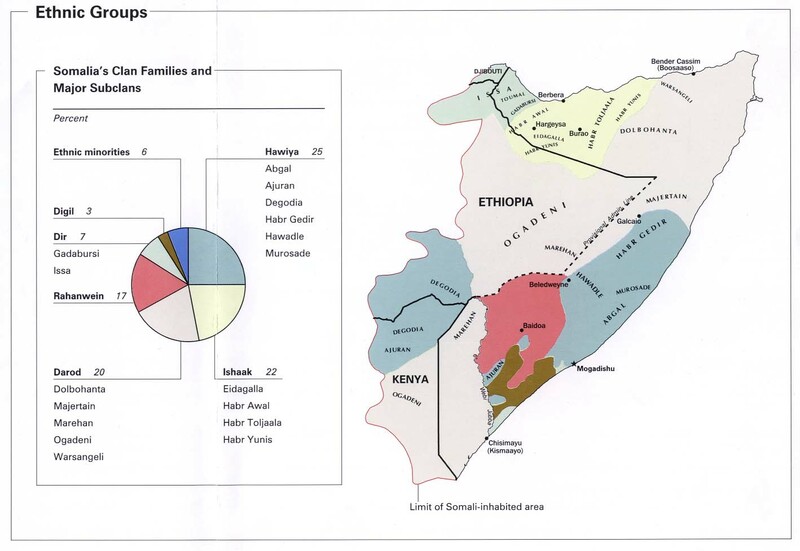 The Somali are divided into various sub-groups. One of these groups is the Digil, which includes not only the Tunni but also the Dabarre and the Jiddu. They are located in southern Somalia, between the Juba and Shebelle Rivers. This region has the richest agricultural land in the country, and the average temperature is only in the low 80s. Area wildlife includes lions, elephants, foxes, and zebras. The Tunni speak Af-Tunni from the Afro-Asiatic language family. Many also speak Arabic as a secondary or trade language. They are closely related to the Afar and Beja, sharing similarities in culture, language, and religion. The Tunni, like other Digil peoples, are primarily farmers. Bananas are the chief commercial and export crop, but sugarcane, corn, sorghum, beans, sesame, and fruits are also grown. Agriculture is organized on a system of mutual help work parties. Men are recruited from within the village and are presided over by a chief, who is given gifts and coffee. The men must appear for work anytime the chief calls them. These associations work on special work days and cultivate the land of their members and of other villages, who must pay them a fee and feed them. Although women are not members of these work groups, they help the men in the fields and also grind grain for flour. Most also herd cattle and to a lesser extent, camels. These animals provide meat, milk, and skins. In addition to farming, the Tunni also engage in fishing and hunting. The Tunni live in round huts with mud walls and cone-shaped grass roofs. The inside of the hut is divided by a curtain or branch partition. The man sleeps on the side facing the door, the wife on the other, more secluded side. Wealthier Tunni may also have a porch attached to the hut's entrance. Each family is ruled by the male head of the household. The village is ruled by a council of elders from each family, who meet with the village head. Decisions and business with other villages are conducted by the council. Tunni wear mainly cotton cloth, which can be obtained through trade or made on local looms. The dress of both men and women closely resembles a Roman toga and is typically white or gray in color. The cloth is usually saturated with butter in order to protect the person against damp or cold. Most Tunni go barefoot, but sandals are sometimes worn. Most women wear pearl, leather, or silver necklaces, as well as bracelets and anklets. When a young man desires to marry, he must first obtain the consent of his parents and the girl's parents. The young man must pay a bride-price to the girl's family, and if the bride-price is satisfactory, the engagement will result in marriage. A man is responsible for his wife, as are his brothers and all the members of his family. If a wife is murdered, the husband and his family will resort to blood-vengeance. Under Islamic law, a Tunni is allowed up to four wives. Each wife, however, occupies her own hut where she raises her children. 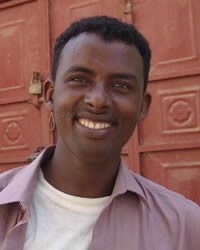 The Tunni are virtually all Muslim. Although they are quite orthodox in their religious practices, few have a deep understanding of their faith. As Muslims, the Tunni believe that Jesus was only a prophet, not God's Son. They believe that after death all men will give an account for their actions, being judged by their works and knowledge of the Koran. The Tunni consider Christians to be inferior to themselves. The Tunni have no Christian resources available to them. The majority have not had a chance to hear a clear presentation of the Gospel. Much prayer and evangelistic work are needed to lead these Muslims to the Truth. * Ask the Lord of the harvest to send loving Christians to share Truth with the Tunni. * Ask the Lord to save key leaders among the Tunni who will profess Jesus as Lord. * Pray that strong local churches will be raised up among the Tunni. * Pray for Gospel messages to become available in audio format for this people group.View Tunni in all countries. Location in Country: Shabeellaha Hoose and Jubbada Dhexe regions: Dhiinsoor, Baraawe, and Jilib districts; Bay and Jubbada Hoose regions.